Midwest favorite ‘Derek Plaslaiko’ stops by to discuss his love of Dinty Moore Beef Stew on this episode of Train Wrecks. 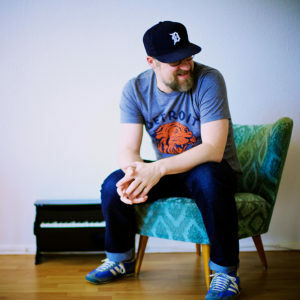 The DJ Veteran also discusses his early days in Detroit all the way up to his recent days in Berlin. He has a new record available this week on Bunker NY entitled ‘Exile on Sesame Straße‘, his first solo release in 6 years. Catch him soon on a small tour in the United States followed by European dates this summer at festivals such as Dimensions and Dekmantel.